Case Study - Caffeine Copywriting. 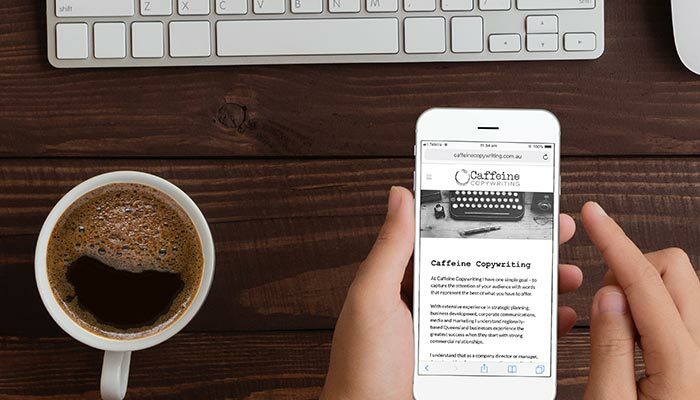 To develop a professional website to act as a shop-front for Ange Bannerman's business; Caffeine Copywriting. To design a contemporary logo that worked well digitally, in print and on merchandise. This gorgeous monogram logo that incorporates the essence of Ange Bannerman's copywriting business. 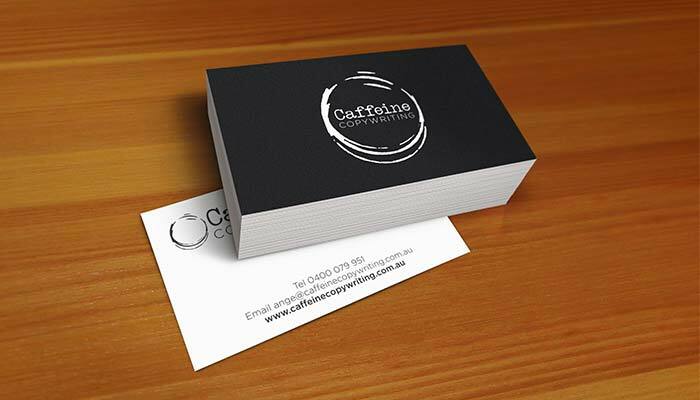 To design and print professional business cards for Ange to pass out to prospective clients. Beautifully printed business cards. We added a spot gloss to the logos for something extra special.